I hate to pay cash; credit cards are much easier and convenient. Rather than using sparingly, I use my card at every possible opportunity. Well, through this post, I would like to convey the message that credit cards are not bad thing per se. Put simply, credit cards are not as bad as we make them out to be. There is a right way to use credit cards and a wrong way. It’s only when we misuse credit cards, they become a source of our financial misery. So, let's see how to use credit cards effectively and wisely so as to make the best use of them. Try using your credit card for all your day-to-day small regular purchases; it helps to keep a written record of your minor purchases – which helps you in budgeting - otherwise you’ve to remember all the cash expenditure made during the day till you write it down. Besides, try using your card in every other possible manner e.g., paying your utility bills like telephone, paying various subscriptions and membership fees, train and airline reservations, online buying, paying insurance premium etc. That way you’ll get free credit period and free reward points without any extra spending. In addition it will save you a lot of botheration. Do you know why you tend to overspend while using your credit cards? The reason is psychological. It is technically called payment decoupling which means that the pain of paying gets decoupled – and postponed to a future date – from the pleasure you gain by shopping. Moreover, you won’t have to feel that pain every time you use card. Rather it will be felt only once in a month while making payment for the credit card dues. Therefore, spend consciously i.e., by becoming aware that while using credit cards we are always prone to overspending. Never wait for the last date. It is always better to clear your monthly credit card dues well in advance so that chances of disputes of late payment are avoided. If you wait till the last date, cost of missing out is much higher than the additional credit period of few days. Ensure that not only you pay your dues in time but pay the dues in full as well. In case of an emergency (which should be a temporary and rare occurrence), make sure that at least you pay the minimum amount due. And as soon as your finances are streamlined, pay the balance without waiting for your next bill. Don’t accumulate credit cards, even if they are free for life. Even if you don’t transact, you remain exposed to high level of risk in case of card loss or theft. Therefore, keep one or at the maximum two cards. The basic purpose of having a credit card is the convenience of single payment mechanism which gets defeated in case of multiple cards. Having two many credit cards will require that you put more time and energy in maintaining them. Besides, it increases your risk exposure because probability of getting stolen or misplaced increases with the increase in the number of cards. And if by error you delay payment on even one of the cards, it will undo all the benefits you gained by having so many cards, each one for a specific and different purpose. Above all, by having too many cards makes it a lot easier to fall prey to your temptations and buy worthless stuff you may never use. Retain only one all-purpose credit card or keep at the most two. Cancel all others. Raise your awareness levels and feed it permanently in your sub-conscious mind that credit cards are not a source of additional money. They are just tools to use your already existing money more efficiently. If you are really short of money and need it desperately, go for personal loans. You may not be aware that these kinds of loans are also available against your credit cards. The effective rate is just about fifty percent of what you pay on revolving credit or cash withdrawals and is almost at par with what the banks offer on plain vanilla personal loans. Moreover, the processing time is minimal and that too without any documentation. The only requirement for availing these loans is long term relationship with your card issuing Company and good payment track record. Try to have an optimum credit limit because if you keep it too high your risk exposure – in case of unauthorized use of your card - is increased and if you keep it too low, there always remains a chance of exceeding it thereby inviting penal charges. Therefore, set a credit card limit you are comfortable with. Further, keep a regular tab on it and reject all proposals for credit limit increase. Try to avoid falling prey to credit card traps. Many of the traps are hidden in the terms and conditions so before starting to use the card, make it a point to go through the terms and conditions thoroughly. The time spent in reading the fine print can save you lots of money and hassles in future. Understand that there are no free lunches in this world. If you are getting anything for free, always ask, what’s the catch? Are you aware that once your annual credit card spending cross Rs 2 lakh, you are required to specifically mention it in your tax return? Therefore, always monitor your total card usage during a financial year and if you a borderline case, try to keep it a little short of Rs 2 lakh to avoid mentioning the details in the tax return. The practice of asking for credit card surcharge is quite rampant in India particularly in case of consumer durable shops. If merchant establishments demand a surcharge for using your credit card, never make a transaction and report it to the credit card company because as a general policy, vendors are not allowed to add a surcharge to credit card purchases. Avail cash-backs and reward points, wherever possible, but don’t get obsessed with them. Just think of them as bonus. In a nutshell, credit cards are double-edged swords. They can be a blessing or a curse depending upon how you use them. If used prudently, credit cards are a powerful money management tools. But, if used poorly, they can ruin your life. Finally, how do you use your credit card? Are you a regular or occasional card user? What’s your own experience with credit cards? Are you a smart and intelligent credit card user or a sucker? Please share your views in the comment section below. 3. Credit Cards Cash back Offers - What’s the Catch? I have gone through the article above as well as "Be wary of credit cards" and I have found them to be really insightful and very succintly worded. Though I have been using a credit card for the past many years and have been following all the principles that you have listed out, it feels nice to read them in print. In fact I believe, an article on "How to squeeze the most out of your credit card" would be a good addition to your repertoire of articles. And for once it would help us commoners to get back at these MNCs who exploit the ignorance of most people. I think that this post already covers various practical tips for making the most of credit cards. If you think that any other important point is still missing, please let me know. I am using credit card for business purpose and spend above 30 k average per month. I never knew earlier that we should note that in tax returns. Also I paid surcharges about 2% in many PoS. This article is an eye opener. Thanks guys... Really useful. Apart from that credit card is really useful if we learn them properly. Especially for a business traveler card is an amazing tool to maintain cash-flow by limiting the number of currency transactions. Otherwise I need to spend about 30-50K as cash for nothing in return. A comment on the subject of surcharge. Once I called up my credit card issuing company ( one of the most reputed ones) reporting demand of surcharge by the vendor, I was plainly told that- in case of negotiated (discounted from the label-price) price of an item, the vendor is free to charge the credit card surcharge. (Almost all consumer durable items are labelled with a higher price and then offered with a fake discount). Clearly the issuer company is either helpless or is mad in glove with the vendors. From that day, I never make such a transaction, but withdraw cash from ATM and transact cash-even if it requires postponement of purchase to next day. At present one need not worry on card transaction frauds if one registers for transaction alerts on mobile and email from the credit card providers. It is also desired that every card holders registers and gets an on line transaction Pin so that even if any one notes the CVV number he cannot complete an online transaction without using the verification Pin that is provided. This is an excellent safety method and every card holders has to ensure he keeps his verification Pin safe to ensure fraud free transaction. 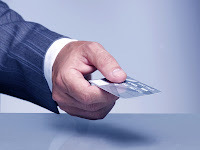 Try using your credit card for all your day-to-day small regular purchases; it helps to keep a written record of your minor purchases high risk credit card processing services – which helps you in budgeting - otherwise you’ve to remember all the cash expenditure made during the day till you write it down.